Used HPM 400 Ton Horizontal Cold Chamber Aluminum High Pressure Die Casting Machine. Inventory item: DCM-3805. 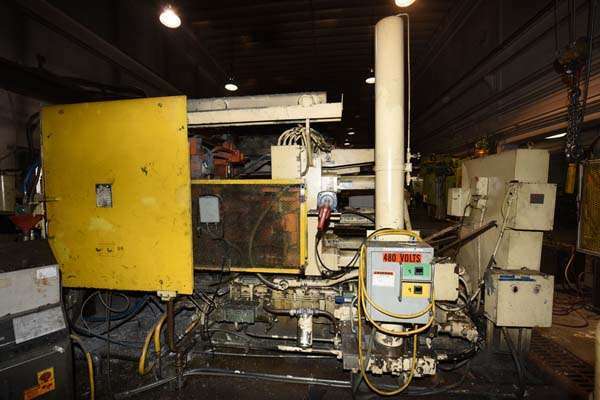 Available with the following items: Johnson Natural Gas Fired Silicon Carbide Crucible Aluminum Melting/Holding furnace, Rimrock 305 ladle, Rimrock parts conveyor, Dennison 15 ton 4-post hydraulic trim press.